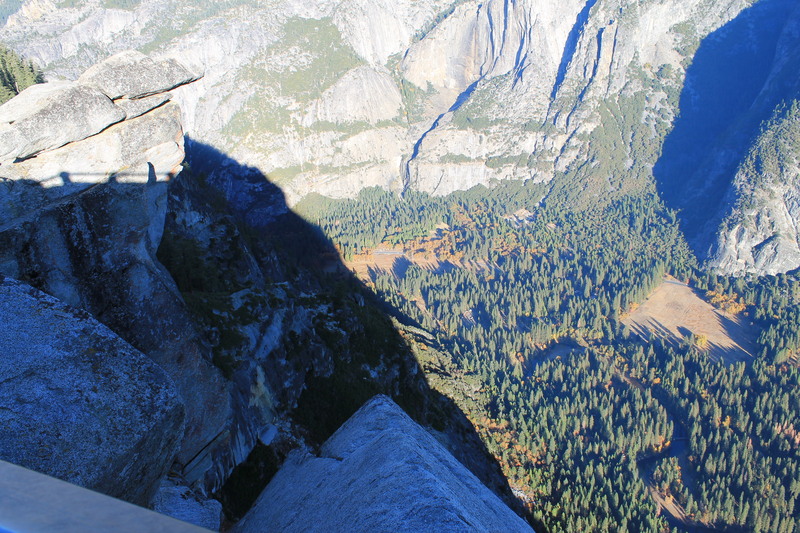 Every national park we have explored has been outstanding, yet I now know why John Muir’s effusive prose regarding Yosemite is not exaggeration. John Muir was the naturalist who is credited with inspiring political leaders to establish the national park system. 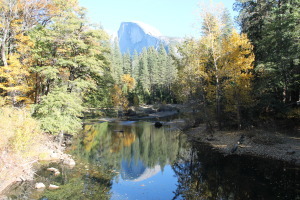 Abraham Lincoln signed legislation to protect Yosemite Valley and Mariposa Grove in 1864. Muir hosted President Theodore Roosevelt here in 1903 and this led to the expansion of Yosemite as a National Park in 1906 (formerly under the control of the State of California). We traced Muir’s footsteps and explored the valley and Mariposa Grove (home of the gigantic sequoias) November 9 – 10, 2014. This was just a brief introduction to the park and we could have spent many more days exploring and hope to return in the future to do just that. Mariposa Grove is a majestic grove of giant sequoia trees. 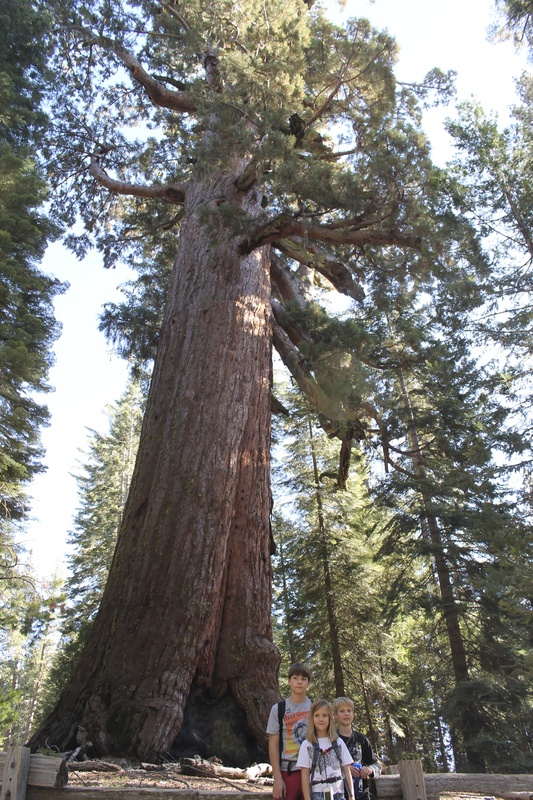 The nearby picture is of the kids in front of the Grizzly Giant which is estimated to be 2,700 years old and is the fifth largest sequoia tree. We attempted to see a sunrise from Glacier Point which overlooks Yosemite Valley. We rose before dawn to drive the 40+ miles up to the point but I calculated the drive time wrong and we arrived after sunrise. It was still spectacular and the picture shows the sun revealing the valley and its beautiful fall hues. To the left is the overlook where Roosevelt and Muir posed for a photograph. 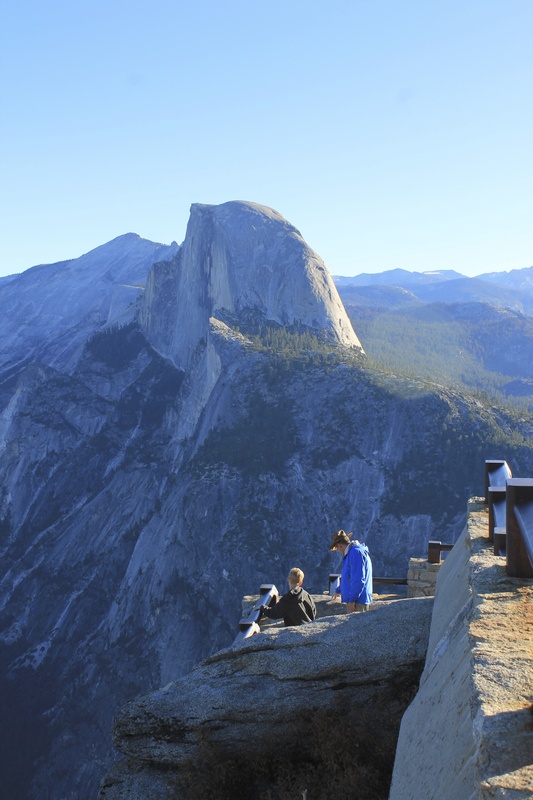 In summer, there is a nice concession stand at the Point and how I wish the old hotel was still around (it burned down in 1969 and was never rebuilt) – it would be incredible to sit on the balcony and watch sunrise without the long, winding drive up 7,214 feet. The drive was fun and at one point the temperature had dropped from 46 to 26 degrees and then it warmed up again as we approached the summit. The drive is not for anyone challenged with motion sickness. The sublime view of Half Dome from Glacier Point was well worth the drive. 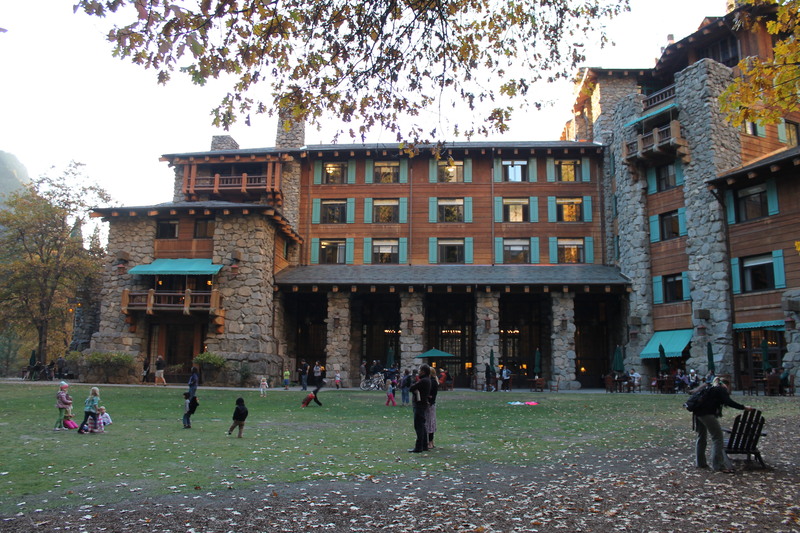 For those who like the impressive historic hotels of our National Parks, the Ahwahnee Hotel should not be missed. It was a beautiful, warm afternoon when we arrived and we enjoyed the back yard with views of the hotel and the surrounding rocks. The interior is equally as impressive with multiple large fireplaces to cozy up and let your cares fall away. We thoroughly enjoyed our visit – the complex beauty of creation observed from the hiking trails led us in worship of God the creator. I agree with John Muir that there is no cathedral on earth that can compare with the awe inspiring beauty of Yosemite National Park.